You can easily add color and character to your home through effective faux painting, marbleizing, and wood graining, among other finishing techniques for a beautiful touch. This trend and way of decorating interior spaces has quickly taken the nation by storm. Our professionals use eco-friendly paint to mimic the look of marble, wood or even fabric in your interior space. We create stunning and realistic end results through proper faux and textured painting services. Contact our professionals if you want to improve your interior space using faux and textured painting. Our experts are experienced and highly trained to deliver textured painting service on time and cost-effectively. Having been in the industry for at least ten years, we offer premium painting services to local customers. Moreover, we have the right equipment to get your painting job done to the required standards. We boast of at least five hundred successful jobs in our portfolio. We offer the best quality with every painting job, ensuring you get your desired look indoors or outdoors. 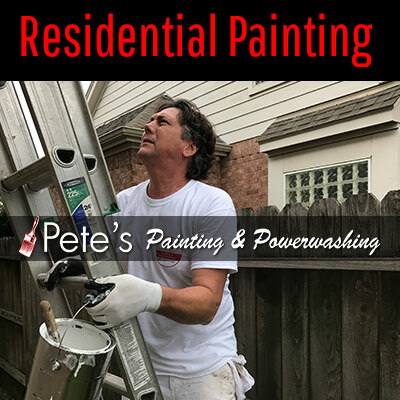 At Pete’s Professional Painting & Power Washing, we have a presence in various locations in Canada and the U.S. Our company offers both residential and commercial painting services and has a reputation for meeting and surpassing the expectations of customers. We give our fees upfront and keep our promise to customers; we say what we mean and mean what we say. Whether you want to color your home in bold or neutral hues, out company has you covered. Do you want to give your home a new look through faux & textured painting? Let our experts do the painting! Call (281) 541 – 1941 for a free price estimate.